Work for Cisco Network Security? Learning about Cisco Network Security? Everything... It will find any issue as a reason to close out and you have to restart and relog back into all your work programs. It needs alot of updates in order to run proficiencently in my opinion. Security for the company when at home advisors are using their personal computer. Prevents any malicious systems trying to take info from work files . 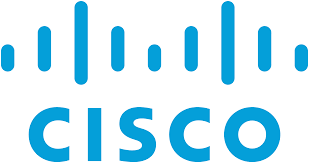 I like Cisco Security because I can obtain complete visibility of users, and devices being used as well as threats that I can access really quick. I also liked that Cisco has an Incident Respo se and that they can ID the root cause of the threat in no time. Cisco will aslo do a lot of work to stop tye attack in the future. Great Product. I dont like that Cisco dose has a lot of attacks but I guess every one is vulnerable to it in todays society. Sometimes it can be slow but mostly its fast. Total Network Security and real time protection of our system. What Advanced Threat Protection (ATP) solution do you use? * We monitor all Cisco Network Security reviews to prevent fraudulent reviews and keep review quality high. We do not post reviews by company employees or direct competitors. Validated reviews require the user to submit a screenshot of the product containing their user ID, in order to verify a user is an actual user of the product. Hi there! Are you looking to implement a solution like Cisco Network Security?